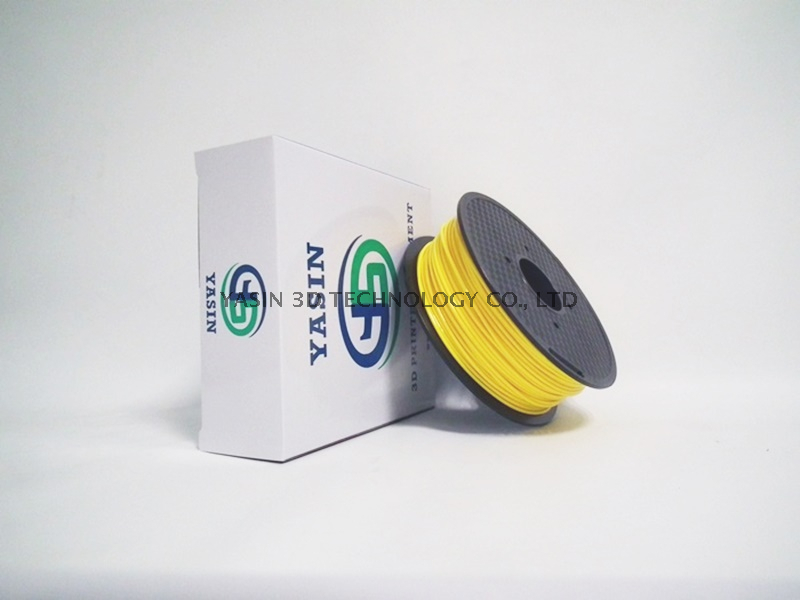 1.75mm/3.0mm 1kg Spool Solid Dark Yellow PETG 3D Filament - Buy petg filament, petg 3d filament, solid dark yellow petg filament Product on YASIN 3D Technology Co., Ltd.
1 Kg (2.2 lbs) spool of 1.75mm Solid Dark Yellow TPEG 3D Printer filament. All filament is sealed in a bag with desiccant. at a low temperature without pre-drying, and should hardly stick to your print bed. Despite its high level of toughness and impact strength, it remains very flexible and recyclable, despite its transparency. It's also odorless during printing and features a low shrink rate, while not suffering from warping as ABS often does. Aside from the natural transparent version, it also comes in Magenta, Yellow and Blue.